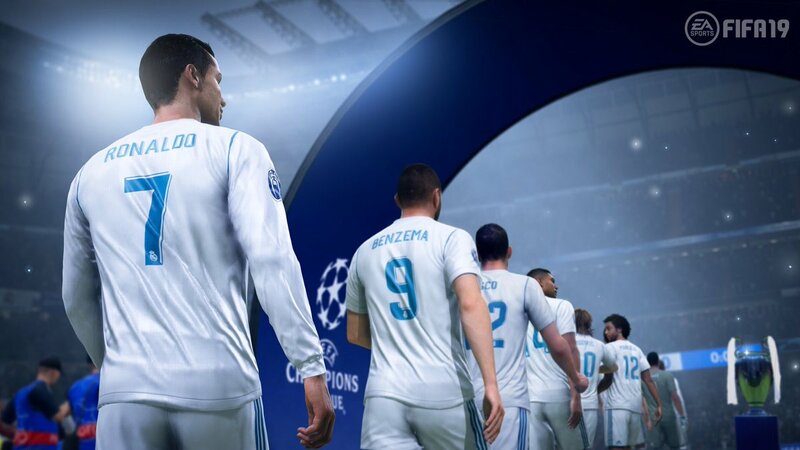 Yesterday, FIFA 19 was officially revealed at EA Play and the highlight of the press conference was the addition of the UEFA Champions League in the next FIFA edition. 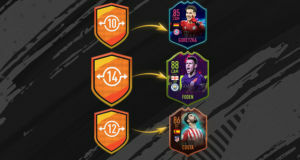 They have released other news as well and we will present them in this post as a roundup. 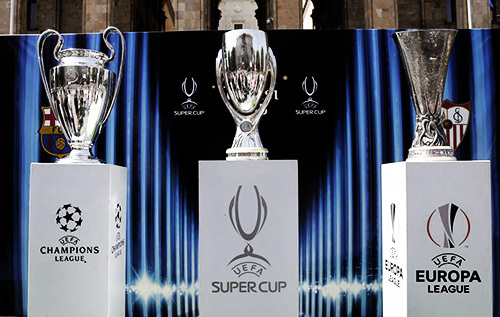 Besides UEFA Champions league, the Europa League and Super Cup will also be included in the game plus an all-new commentary team with Derek Rae and Lee Dixon. 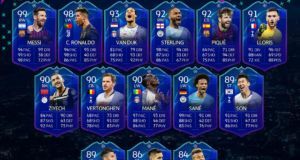 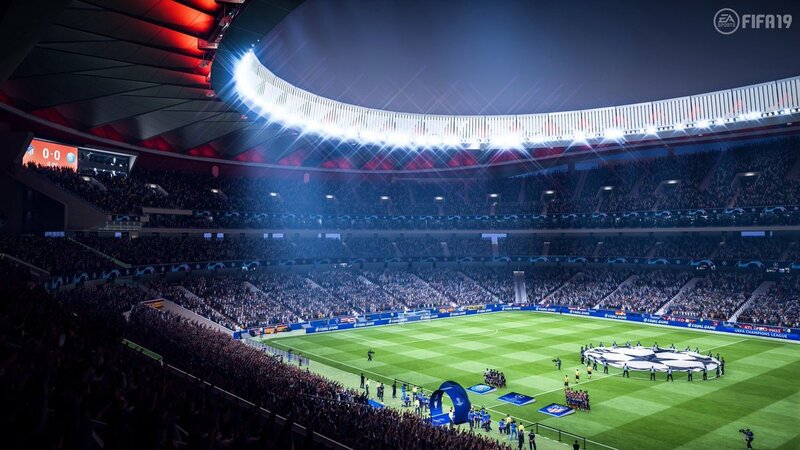 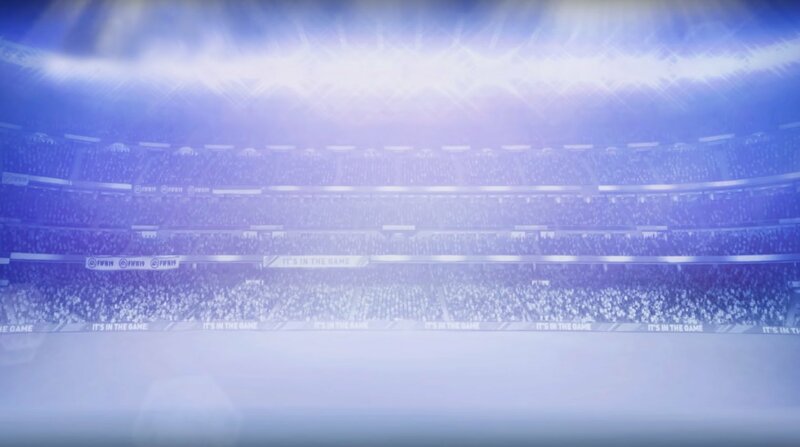 Moreover, there will an all-new standalone UEFA Champions League mode to play the famous tournament from the group stage to the final at the Wanda Metropolitano Stadium. 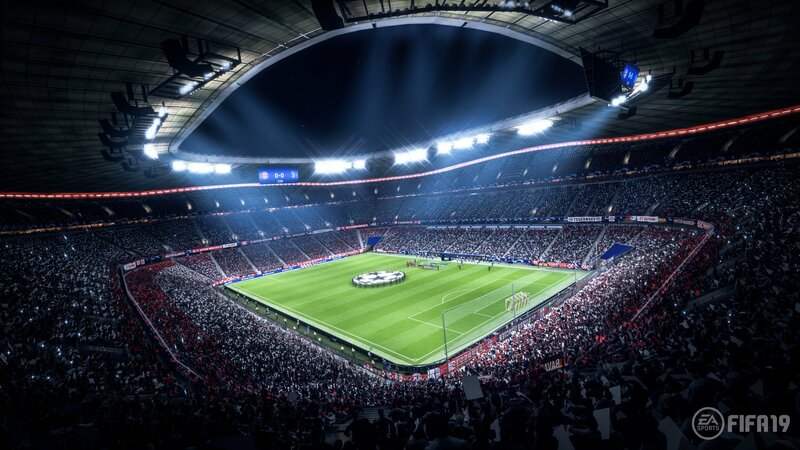 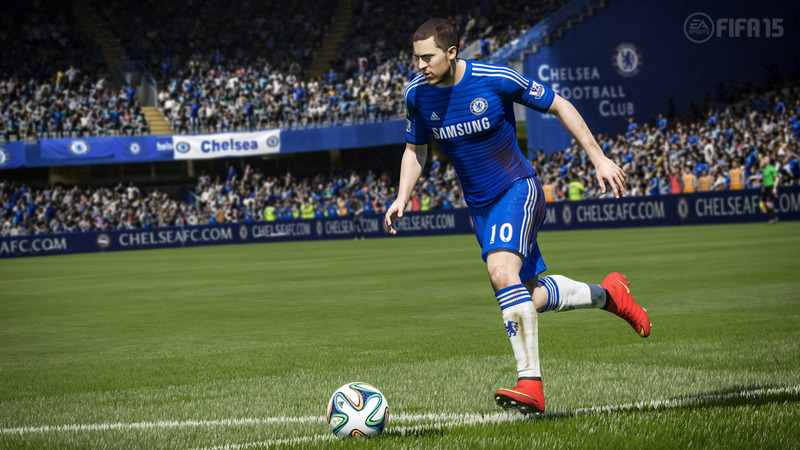 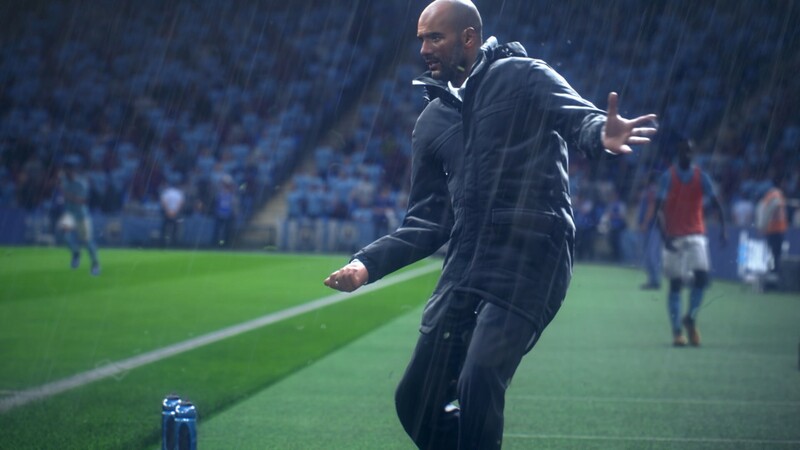 The three prestigious European tournaments will also be available in Kick-Off, Career Mode and Ultimate Team modes! 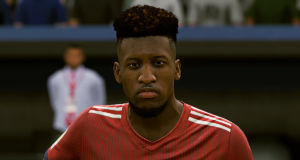 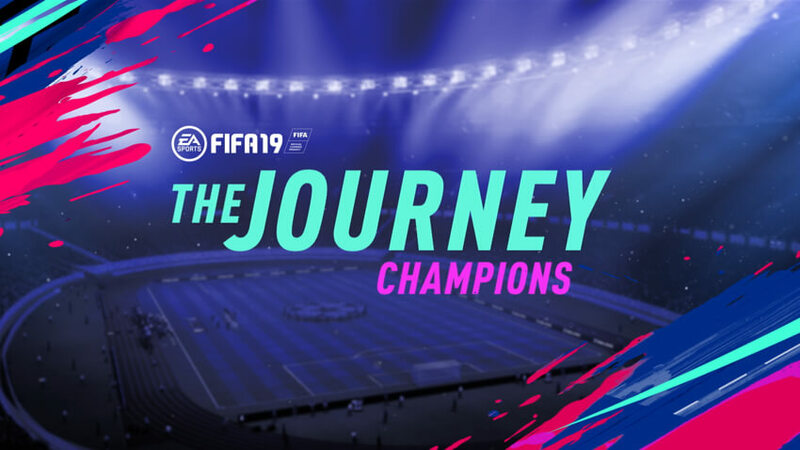 Alex Hunter’s ” The Journey “ ends with FIFA 19! 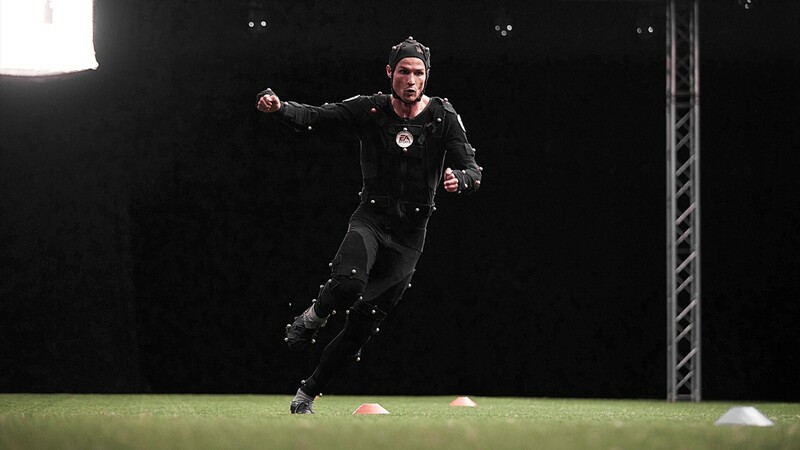 You can experience the final chapter of his story as he chases the UEFA Champions League glory. 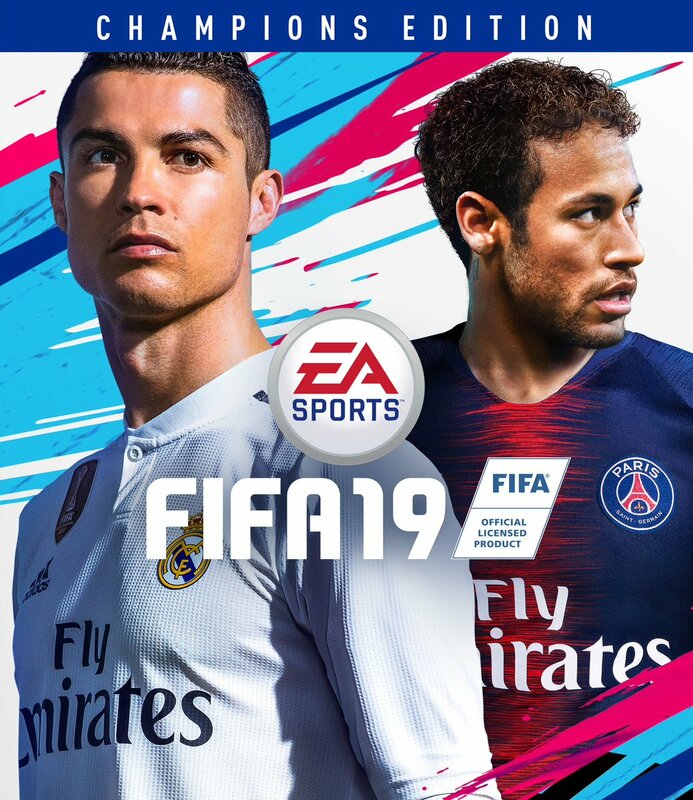 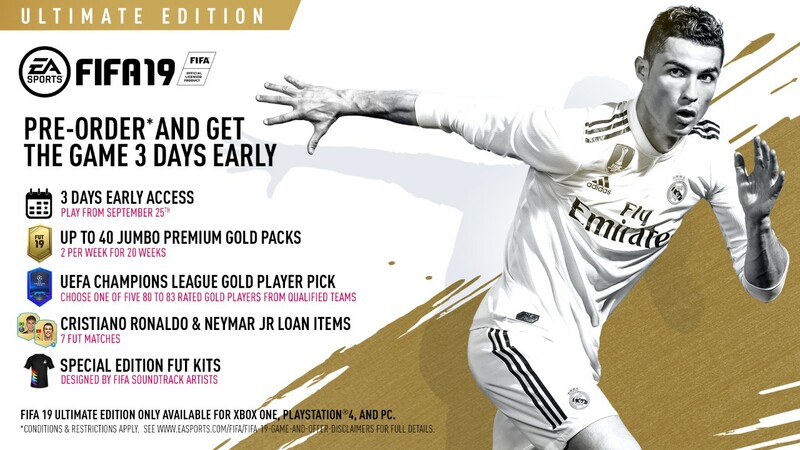 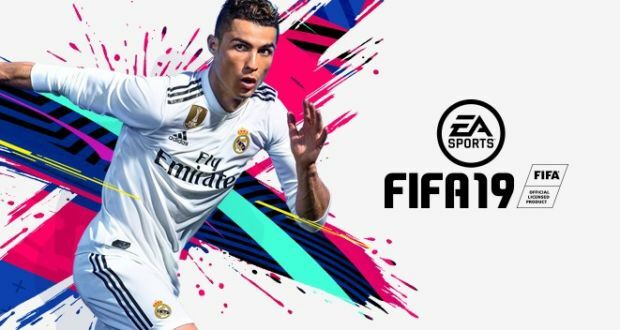 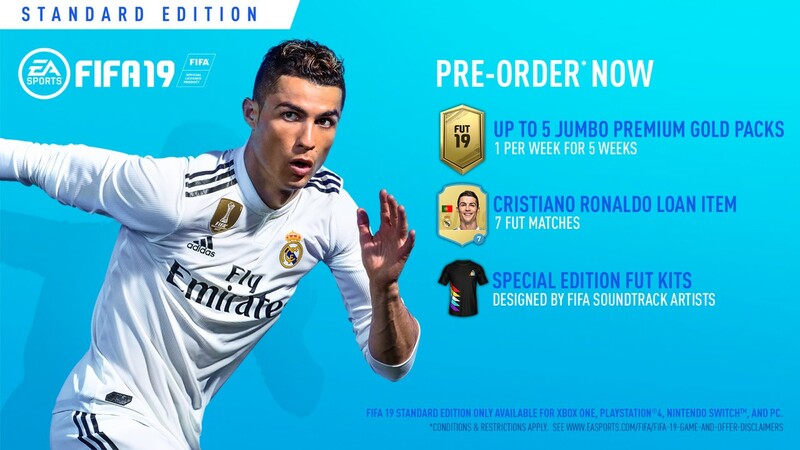 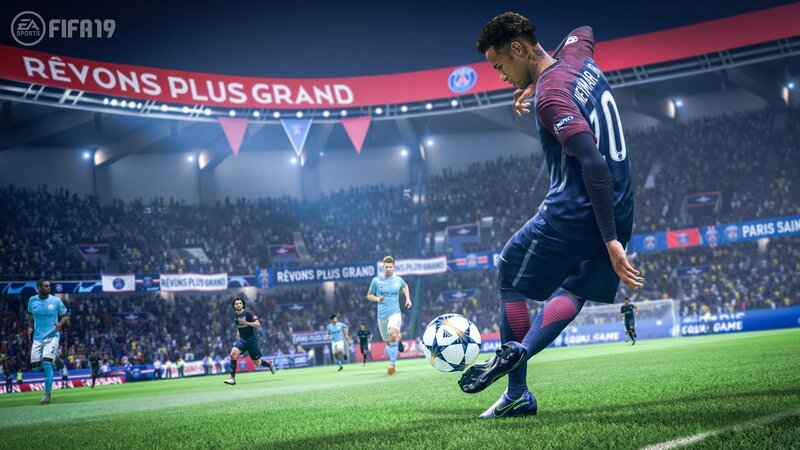 Cristiano Ronaldo returns as the cover star for the next FIFA installment and this year he will be joined by PSG’s star, Neymay Jr.
FIFA 19 officially launches worldwide September 28 on PlayStation 4, Xbox One, Nintendo Switch and PC. 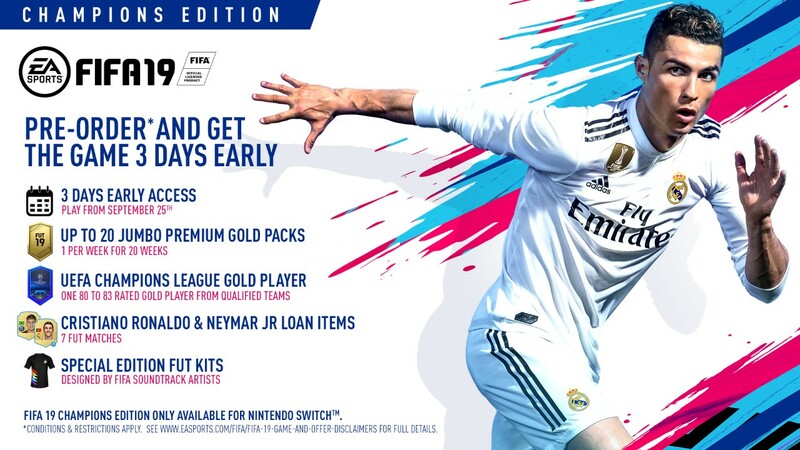 You can play the game earlier starting September 20 with Play First Trials (available on EA Access on Xbox One and Origin Access Basic on PC) and save 10% if you decide to buy the full game. PC players can upgrade to Origin Access Premier to get unlimited access to the full game ahead of launch.